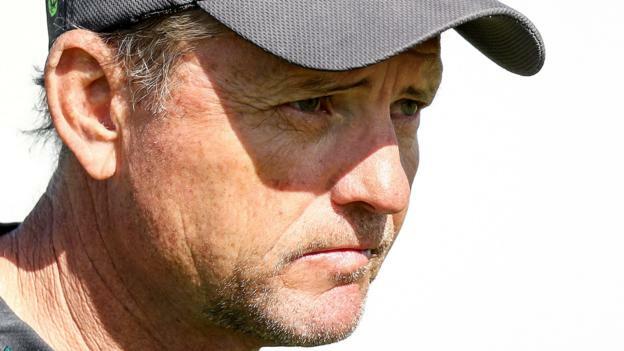 BBC UK – Ireland coach Graham Ford believes next month’s six-match series against Afghanistan will be perfect preparation for the World T20 qualifiers. Ireland coach Graham Ford believes next month’s six-match series against Afghanistan will be perfect preparation for the World T20 qualifiers. “We were outplayed by a world-class opposition but our horizon in the short-form of the game is the World T20 qualifiers in 2019,” said Ford. Afghanistan defeated Ireland by five wickets in March in a winner-takes-all Super Sixes game for a place at the World Cup. Ford added: “The recent Tri-Series in the Netherlands was a learning experience and opportunity to experiment with the side, while the Indian series was a chance to pit our guys against the world’s best and give them a taste of what we need to aspire to.